A Healthier Twist on Vending. CK Vending provides professional, full-line refreshment service. Our vending service is a reliable, hassle-free way to satisfy your employees when they want a snack or a quick meal. We offer quality, name-brand snacks, fresh, wholesome sandwiches and dairy products, a wide assortment of refreshing beverages and a variety of nutritionally sensitive selections, including freshly prepared salads for healthier choices. 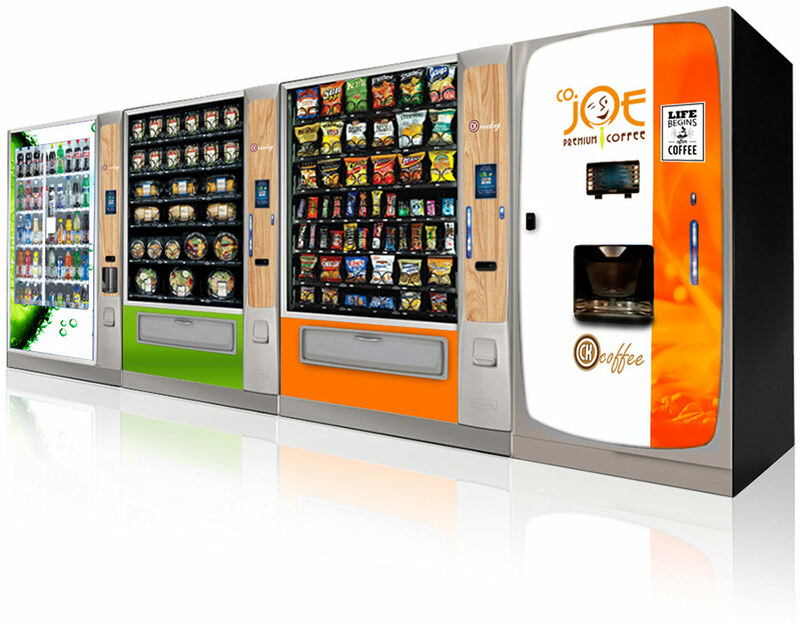 CK Vending is an ideal solution for offices that may be too small for a CK Market or CK Cafe. Restricted access and surveillance is not an issue with vending, as all the products are secured in the machines. Advanced telemetry notifies our warehouse when items are running low and they are restocked so your employees are never without their favorite foods. Refrigerated for chilled veggie and fruit snacks, sandwiches and salads. Touch-screen displays with intuitive navigation provides detailed nutritional information that meets government standards, and ingredient lists - before the product is purchased. More convenience and payment options including credit and debit cards instead of cash. Healthier options that meet specific guidelines that match the American Heart Association (AHA) criteria on the overall nutritional content.